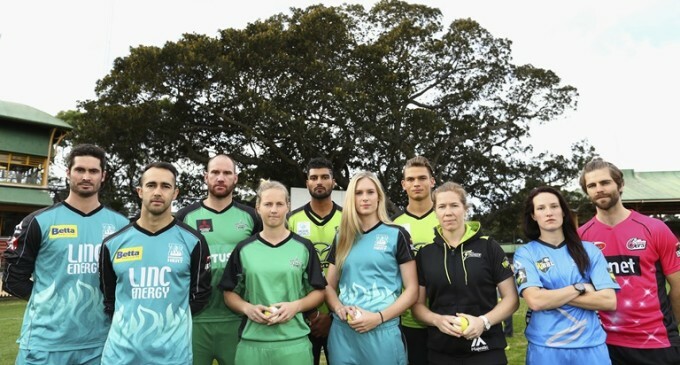 After the exciting grand final finish at the MCG last season that saw the Sydney Thunder defeat the Melbourne Stars in a final over thriller, all eight sides will be gunning for the crown in this season’s sixth edition of the competition. One of the best Twenty20 leagues in the world has commanded some of the best players of the shorter-format once again, as Stuart Broad (Hurricanes) Ian Bell and Mitchell Johnson (Scorchers) headline some big signings, while England captain Eoin Morgan (Thunder), Kevin Pietersen (Stars) and Dwayne Bravo (Renegades) return for another stint at their respective clubs. Both Melbourne sides are favourites for the trophy and are at $6.00 (odds courtesy of CrownBet), and are joined at the top by Perth and the Sydney Thunder, with BBL06 set to be the tightest it’s ever been. Adelaide Strikers and Sydney Sixers follow the top four sides on $7.50 with the Brisbane Heat closely behind them on $8.00. The Hobart Hurricanes round out the sides at $9.00, although with so little space between the top and bottom sides any team is a genuine chance to win the competition. The Sydney derby kicks off the BBL06 season on December 20, as the first round of the season goes over the opening three days, before a Christmas break halts play until Boxing Day. When play resumes on December 26 the summer of cricket gets into full swing, as a BBL game is played on every day bar three before the season comes to a close on January 21. The final will be played on January 28. Despite not making the final last season, Adelaide will be looking to pick up from where they left off, after the Strikers won seven of their eight matches during the season to finish clear on top of the table. The Stars and Scorchers finished equal second with five wins each, while the Thunder surprisingly won the title from fourth after four wins and four losses throughout the season. With half the sides making the finals and given Sydney’s recent success from fourth, every team will believe they’re a chance to win the title from any finals position, which is set to make the upcoming season the best in BBL history.